The unique flufiness of the Sticky duck down is obtained by a traditional technique with bamboo sticks. This flexible pillow will welcome you head and neck with an outstanding inflating. 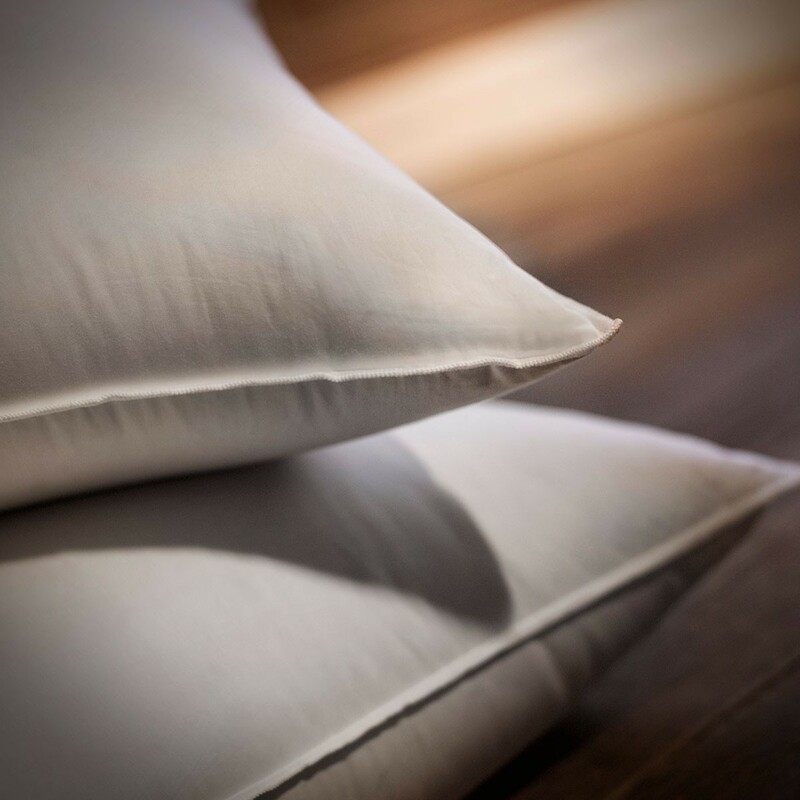 The duck down of the Sticky 90 flexible pillow is the result of a traditional process of sorting the down that gives it a swelling and a reception of exceptional softness. The plush pillow down Sticky will provide a welcome and comfort ideal for people sleeping on the back. Composition The Sticky duck down pillow is filled with 90% grey new duck down and 10% grey new duck feathers worked Sticky. The down is sorted through a sieve and threshing is done by bamboo stems, to reveal the exceptional properties of duck down. The outer shell is a pure cotton-satin woven anti-down, 170 threads / cm². It has a satin stitch finish, stitching offering the best resistance possible. 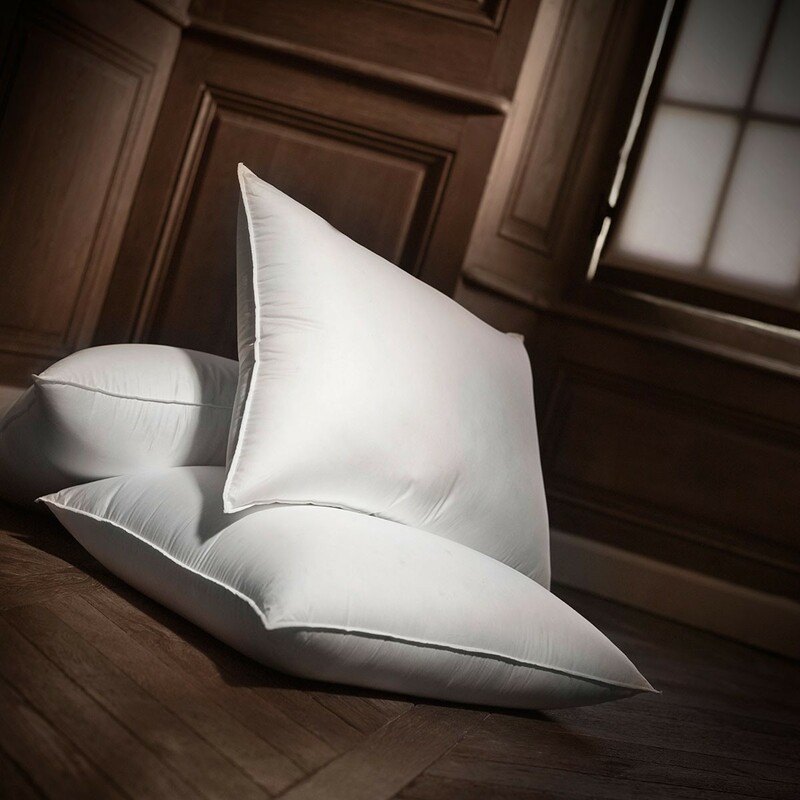 Tailor-made and embroidery The flexible down pillow Sticky 90% is proposed in the standard French sizes (50x70cm and 65x65cm) but can also be made-to-measure on request. Your initials can be embroidered. The Sticky soft pillow is labeled Haute Literie®, the only luxury brand of bedding recognized worldwide. It is in his workshops of Tonnerre in Burgundy that Dumas Paris creates its most beautiful pillows, fruit of a unique know-how. The manual finishing is next to the most innovative equipment, for impeccable and controlled products.